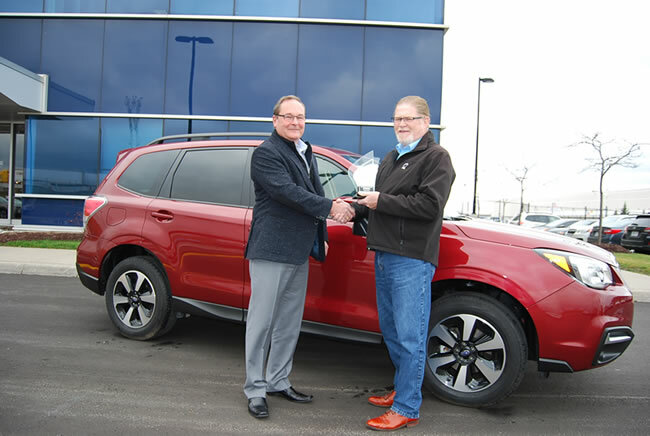 (MISSISSAUGA) — Subaru Canada, Inc. (SCI) is pleased to announce that the all-new 2017 Forester received the honour of being named AJAC’s (Automobile Journalists Association of Canada) Best New Small Utility. The brand new 2017 Forester, with its unbeatable combination of all-road/all-weather capability, superior reliability and advanced safety features, will now go on to compete for overall Canadian Utility Vehicle of the Year honours. The winners will be announced at the Canadian International Auto Show, held in Toronto in mid-February. The rigorous testing program put on by AJAC includes real-world driving on public roads by over 60 of Canada’s best-known automotive journalists. Each category is tested back-to-back on the same day, under the same conditions, to ensure fair and objective comparisons, all with the goal of providing highly-relevant consumer-driven information for Canadian shoppers to take with them to the marketplace.